Welcome to our website! We provide York® air conditioning, heating and indoor air quality products for reliable and efficient indoor comfort control. If you are looking for a Hawthorne AC contractor who understands your unique requirements, you have landed at the right place! 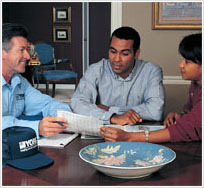 If you have any HVAC related questions, just let the finest Hawthorne AC Contractor around answer them for you! Call us at 800-492-2122.